Adults have schedules, deadlines, appointments & meetings. Adults have watches on their wrists, on their walls, on their phones, in their cars and in their heads. Adults seem to have less and less time as they keep watch more and more. While adults are busy and rushed, toddlers have all the time in the world. Toddlers might have watches but they don’t look at them. Toddlers might have clocks in their kitchens and bedrooms, but they don’t notice them. Parents and siblings might even try to have toddlers notice the time. And they can try all they want, but toddlers won’t notice, because they have all the time in the world. Like most parents and adults, we have schedules, meetings and clocks. Like all toddlers, Maayan couldn’t care less. Sometimes in the mornings if we’re running a little late for Maayan’s preschool, we try to get Maayan to get ready quicker. We say things like, “Come on Maayan, you don’t want to be late.” Or “If we leave in a few minutes you’ll have more time at preschool.” Maayan listens, but she is in no rush. She takes her time, does what she needs to do in a calm and collected way. Maayan, like royalty, is totally together with what she needs to do to be her best self everyday. In any situation if we’re running a little late, Maayan is never phased to hurry up. Time seems to be a reality only to adults. 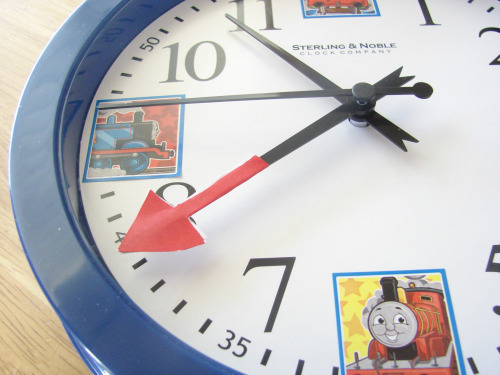 Toddlers seem to be entirely unaware of time, and that seems to work in their favor. While adults have quotes to help them stop and smell the flowers, toddlers are smelling them all the time. Oblivious to time, toddlers are calm, happy and enjoy their lives. Because Maayan can’t be rushed, in the moments where I would be – I can’t be. I can’t rush because Maayan can’t be rushed. In those moments, I stop realizing the time and I’m calmed. I relax because Maayan is relaxed and I no longer have to stop to smell the flowers – because I’ve stopped. The truth is that we have a lot more time than we realize. Maybe we should stop paying so much attention to the time and everything that reminds us of it. Maybe we should live more like toddlers and have all the time in the world. Life lesson of a toddler #30: There is no need to rush, you have all the time in the world.